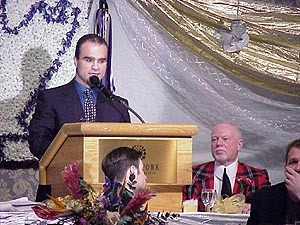 Tie believes strongly in giving back to the community that has given him so much. 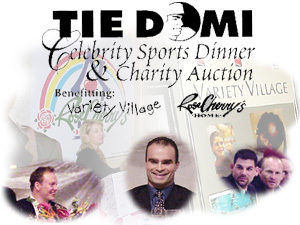 Tie supports many charitable organizations. 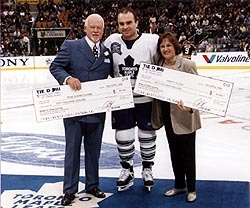 Diabetes Hope Foundation is the chosen charity of Tie Domi and Christine Hough-Sweeney for Battle of the Blades. 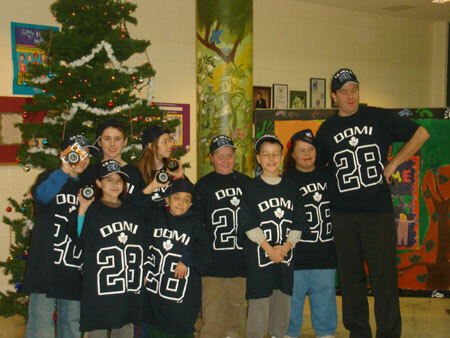 Terry Fox School students smile with their Tie Domi Christmas gifts. 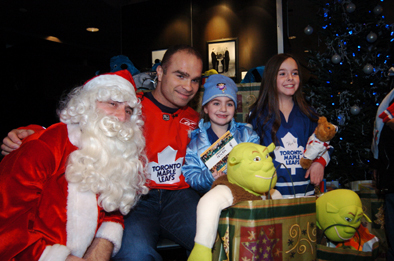 Tie treated over 100 children from hostels and Toronto shelters to a day of breakfast, lunch, game practice, a visit with Santa, fun and games, toys and gifts for each child at the ACC. Tie also provided enough gifts for every child that may have stayed in a shelter or hostel over the holiday season in Toronto. Tie ensured that all of these children are remembered by Santa no matter what circumstances they find themselves in. Read some charity and fan letters regarding Tie and Santa On Wheels. Although hospices for adults exist in Canada, there are few targeted specifically to medically complex children. The only alternative to in-home respite is institutional care, which comes at a significant cost and in most cases is unavailable. More than 80,000 Ontario children suffer from chronic health problems. Estimates from Community Care Access Centres across Ontario place the number of youngsters living at home with severe medical problems at 1,700. With the closure of government institutions and the increasing longevity of children with chronic illnesses, families have been placed in the situation of providing care, in many cases functioning in a role previously performed by a specialized health care professional. Parents providing vigilant care for their children experience significant stress and the potential for burnout. These families urgently need respite services. Rose Cherry’s Home will address the family’s need for on-going support. The Home will provide families the opportunity to network and gain emotional support from other families facing similar challenges and offer ongoing educational support to enhance essential care-giving skills. Community Care Access Centres have estimated that approximately 1700 children living at home have illnesses that are medically complex and render these children dependent on technology and round-the-clock care. 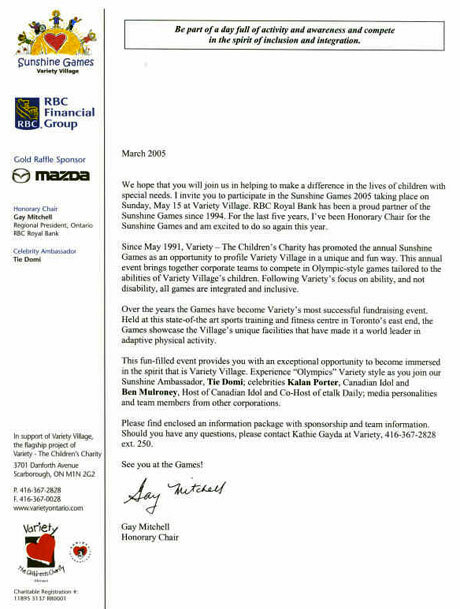 The Variety Village Sport Training and Fitness Centre opened in 1981 to serve children with special needs. Its founding principle was to give children of any level of ability the opportunity to grow and develop to their full potential through play and physical activity. By providing opportunities for children to involve themselves in challenging situations. Variety Village builds self-esteem along with physical, mental and emotional skills. The Village comprises a fieldhouse / gymnasium equipped with a special indoor track, a conditioning area for weight and circuit training, a small research laboratory for fitness testing, conference rooms, a residence, and a cafeteria. An aquatics wing, added in 1989, features electronically-controlled showers, special lifts and ramps to assist people with physical challenges, and underwater viewing areas for biomechanical assessment of athletes. 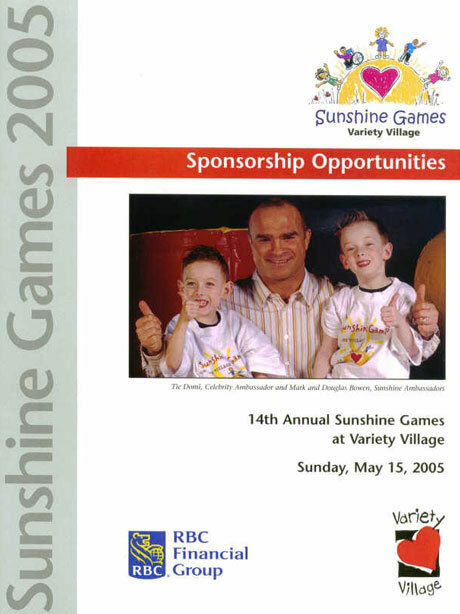 Variety Village is a world leader in integrated active living and features specialized programming for children and adults with special needs. The breadth of programs allows children to see that they have the ability to do things they thought they could never do. The Village operates daily and weekly programs such as wheechair basketball, sledge hockey, kayaking, rock climbing and swimming, as well as special programs such as summer camps. Through these programs, staff and volunteers at the Village stress each child’s abilities, not their disabilities. To Joe Millage, the Village’s Managing Director, the value of the work is even more fundamental. He sums it up by saying, “We specialize in creating strength; especially strength of character.” He and the dedicated and enthusiastic people who work and volunteer at Variety Village constantly innovate, by designing new games, new equipment and new ways to make programs work. As a result, Variety Village activities are challenging and fun, designed to bring out the best in children of all abilities. By seeking solutions, rather than focusing on problems, Variety sends children a strong and positive message: there is always a way – it simply takes imagination and determination. 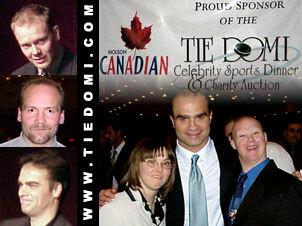 Toronto, ON – Help us celebrate the official grand opening of the newly renovated ‘Friends of Tie Domi Rehabilitation Clinic’ at The Hospital for Sick Children (SickKids) on Tuesday, May 26. The new space, which handles more than 35,000 patient visits each year, offers a bright and refreshing change to a clinic that has not been updated since it originally opened in the 1950s. 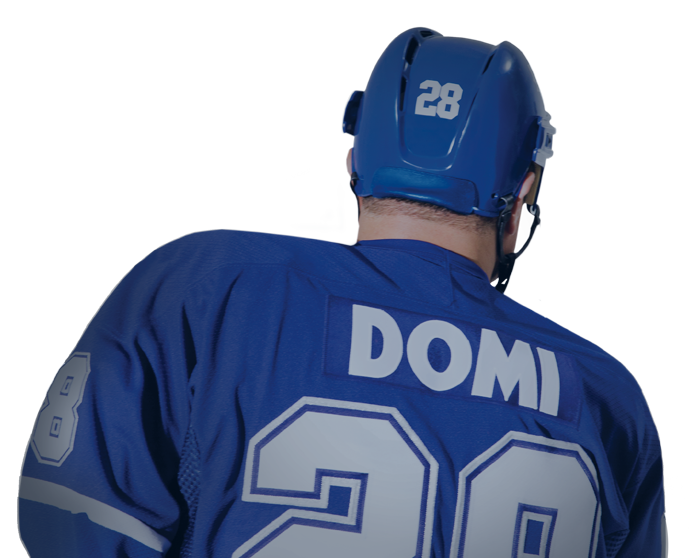 Spearheaded by Toronto businessman Leonard Latchman and his wife Lori, a group of Domi’s friends rallied together to raise $1 million for the renovations and Domi-inspired décor. The Gluckstein Design team graciously donated their time and expertise to design and complete the renovations. The result is a bright new environment for patients who suffer from some of the most complex, acute rehabilitation needs. 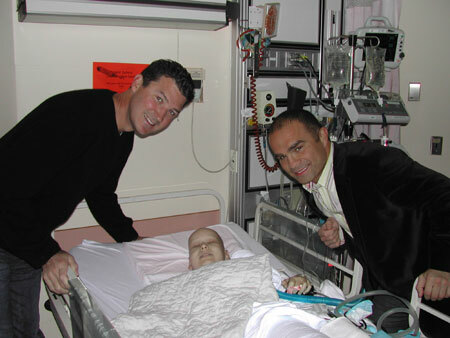 Tie & Mario Lemeiux visited Sick Kids hospital on Oct.13, 2007 to raise spirits of those battling cancer.